As with all households, our sofas, armchairs, dining chairs, ottomans and other soft furnishings, are high traffic areas where we tend to sit, lie down, entertain, enjoy a coffee/snack or cuddle our pets. It is inevitable that at some point, we experience the odd coffee spill, splash of red wine, chocolate stain, or pet accident, to name a few. Over time, our family, pets and guests, cumulatively contribute to the bacteria build up on our furnishings, leaving our upholstery looking dull, discoloured and malodorous. 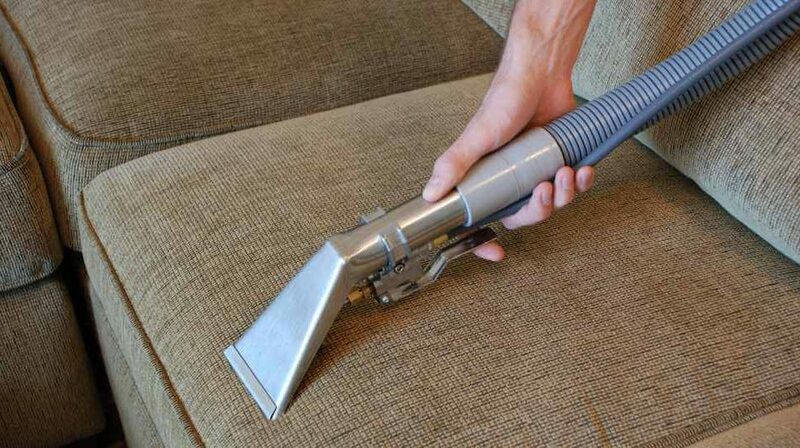 A simple maintenance regime from Diamond Steam Cleaning can prolong the life of your furniture as well and bring back that “good as new” look of your upholstery. Our team at Diamond Steam Cleaning is trained and equipped to remove embedded dirt and allergens and sanitise odours. Stains in fabrics tend to settle in the seams making them hard to remove, especially if treatment is prolonged. To avoid this trap, ensure that you have your upholstery steam cleaned regularly, every 6-12 months. The steam cleaning process involves pre-treating the furniture and present stains with a specialised solution, then rinsing it and extracting the moisture along with the dirt and grime, via a specialised hot water extraction technology. Our process involves a gentle restoration using our top of the range shampoos, sanitisers and deodorisers. To further protect your fabric and resist stains between steam cleans, we recommended our scotch guard treatment. For peace of mind, we expertly steam clean upholstery of a variety of materials, including linen, cotton, leather and more. Our trained technicians have competent knowledge of the kind of fabric of the upholstery and the matching products that can be used, in order to avoid the risk of damage or discoloration. Get rid of spots, stains, odours and allergens in your upholstery today. Call Diamond Steam Cleaning for a customised quote on 0426 105 106.